MADE TO ORDER - WILL BE SHIPPED IN 10 DAYS. 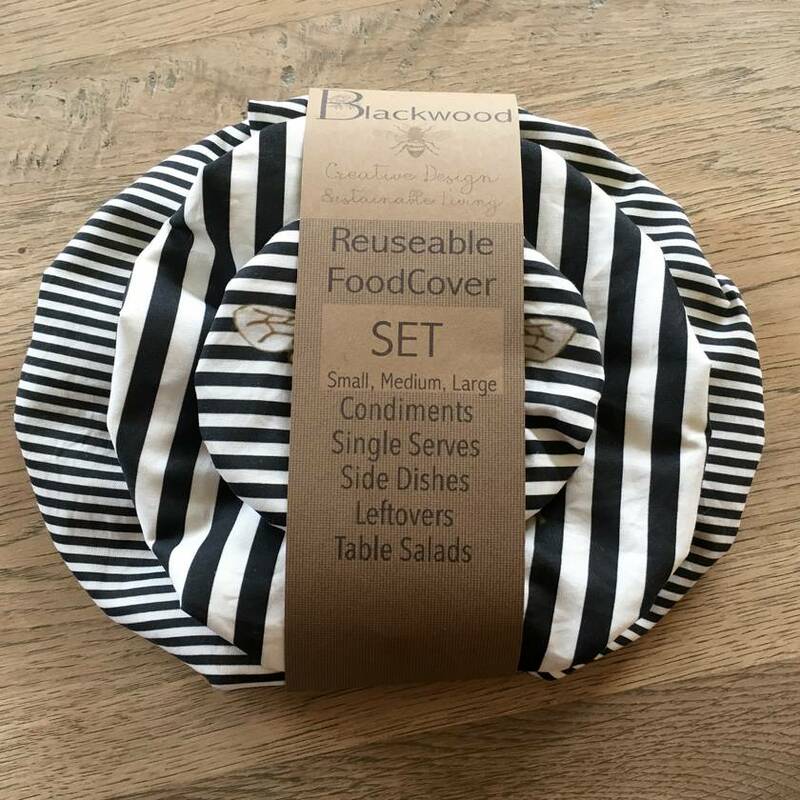 Reuseable/washable food covers are earth friendly and help save the planet. No more gladwrap or tin foil! 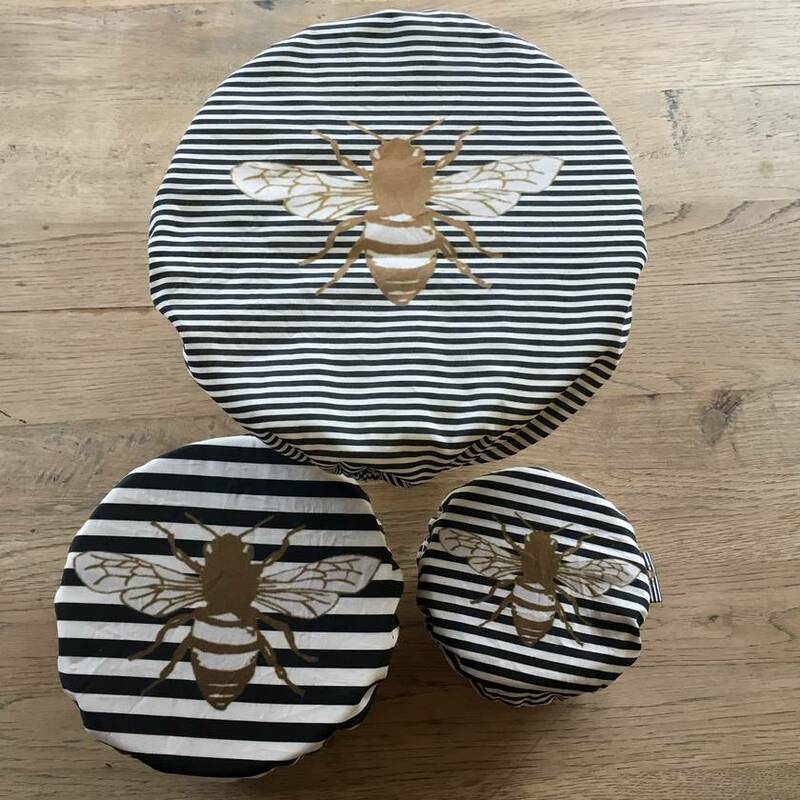 They look smart and stunning, covering any bowl, plate or container. 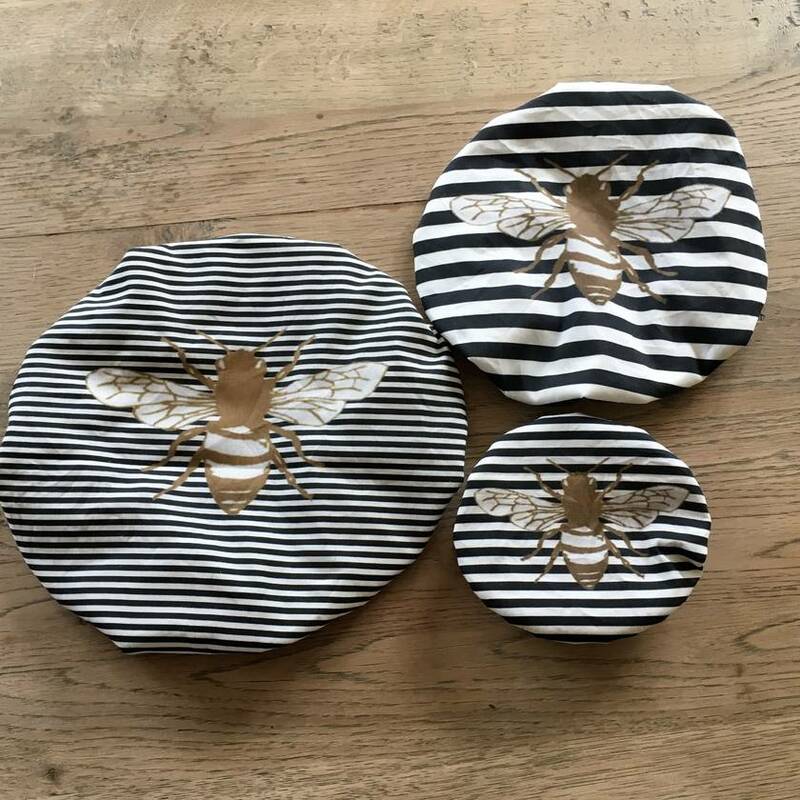 Each food cover is made with natural cotton and food safe PUL liner. 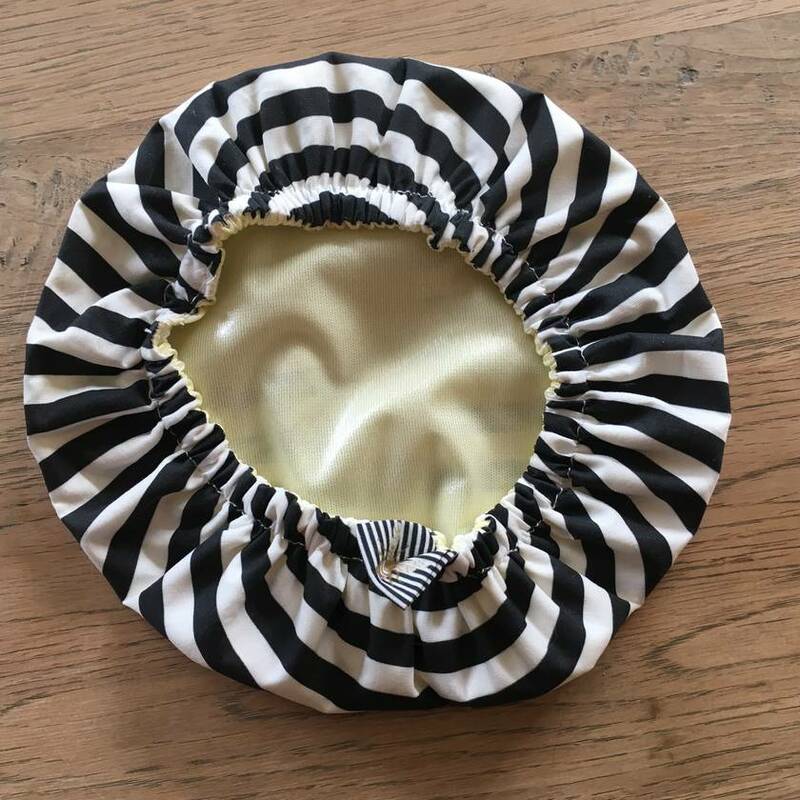 Our small size is perfect for condiments and small bowls of left overs, if you are taking a small bowl of treats to a dinner party this is a great way to transport and cover your dish. Fits maximum diameter 18cm. A quick wipe down on the liner side with a damp towel will keep your cover clean and ready for use! If you would like to wash them, pop in a mesh bag and wash.
DO NOT IRON THE PUL FABRIC. Contact blackwood to enquire about payment or shipping options.